Running is one of the most convenient sports out there. All you need is a pair of trainers, and off you go. Nonetheless, to reach your full running potential, there are a few training rules you need to abide by. That’s where today’s post comes in handy. Whether you’ve started running last week or been doing it for years, here are the golden rules of running. If you understand and apply the following seven rules, you’ll attain the running gains you seek. This is one of the most important and time-tested running rules. In fact, ask any running expert about training principles, and the 10 percent rule will come up in the conversation. It’s also quite simple. The 10 percent rule states that you should never increase your weekly mileage by more than 10 percent from one week to the next. This works very well because it helps you avoid doing too much too soon. Most running injuries are overuse injuries—they happen when you run too much or increase your weekly volume too drastically. In short, this simple principle helps you avoid that pitfall. While logging in five or six miles may seem easy to you, running 5 or 6 miles five times a week can an overstretch if you haven’t adequately prepared your body for that kind of stress. If you’re a complete beginner, toss the 10 percent rule aside. Focus instead on running regularly to get your body used to the high impact nature of the sport. I’d recommend that you aim for two to three 3-mile workouts a week, depending on your fitness level and personal preference. Over the coming weeks, keep your training consistent and do no increase your mileage—even if you feel like you can do more. Once you can run for 30 minutes without much huffing and puffing, then try to log in more miles. Warming up and cooling down are the cornerstones of effective and comfortable training. A proper warm-up dilates the blood vessels, raise body temperature and heart rate, which prepares your body for the work ahead. This, in turn, helps prevent premature fatigue, injury, and burnout as well as improve performance. Once you’re done running, it’s also imperative to let your bodily systems return to their norm. That’s where a cooldown comes in handy. A proper cool down is just as crucial to your performance as the warm-up. This transitional phase helps bring down your heart and respiration rates down to normal, easing your body back into reality. Low-intensity jogging or walking post workout helps prevent blood from pooling in your extremities as well as get rid of lactic buildup and other waste products from your muscles. Static stretching—holding a stretch for a relatively long time—improves flexibility and mobility when performed while the muscles are warm and elastic after training. 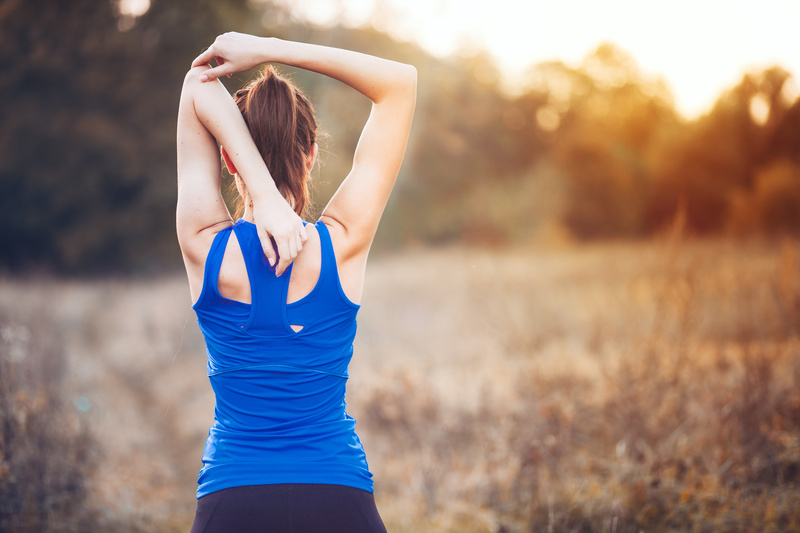 Moreover, the post-run period is a fantastic time to do some stretching since your muscles are warmed up. Here’s my favorite cool down sequence. I can’t conceive of any running scenario in which you can nonchalantly skip the warm-up and the cool-down—even when doing an easy run. That said, the length (and intensity) of both the warm-up and cool-down depends, mainly, on your fitness level and training goals. As a guideline, the more intense the session, the longer you spend on warming it up for it and cooling down afterward. Also, it takes less than 10 minutes to warm up on hot summer days. If you’re looking to keep an ideal pace while running as a beginner, then the conversational rule, aka the talk test, is the way to go. The Talk Test is pretty simple. If you can speak in complete sentences without panting for air, then you’re cruising at the right speed. At the early stages of your training, most of your runs should be at comfortable or “conversational” pace. Sticking with this pace sill helps you prevent overtraining and overuse injuries. If you’re running out of breath on every step, you’re pushing your body too much. 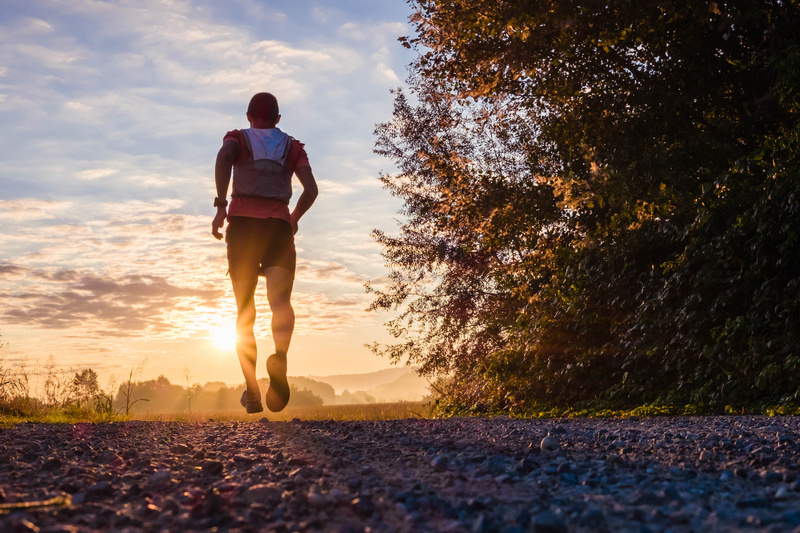 If you can no longer carry on a conversation, don’t hesitate to alternate running and walking, gradually increasing your run time while taking less and less for recovery. When doing any hard and intense training, forget about the conversational rule. The fact is, if you can talk with ease while doing speedwork, you’re not pushing it hard enough. Before a run, eat something that will provide you with energy without causing any stomach issues on the road. How long should you wait before you run after a meal is a matter of individual preference, just like most aspects of training. As a general rule, wait for at least three hours before running following a large meal. The bigger the meal, the more time you should wait. For most people, two to three hours is ample time for food to move through the digestive system, especially if it’s high in easily digestible carbohydrates. To avoid stomach issues while running, focus on digestible carbs and foods that are low in fat and fiber. You can find lots of my favorite pre-run meals and snack ideas here. If you just had a light snack, like a banana or a smoothie, you should be okay to run for about 30 to 45 minutes after you eat. But, it again depends on the size and type of the meal. Also, keep in mind that everyone is different and responds differently to different foods. So, what might work for someone else may not necessarily be the best thing for you. Pre-run eating is quite tricky, and it will require you a bit of trial and effort to find out what exactly works the best for you. Don’t hesitate to experiment. Shoes are made up of materials that don’t last forever. Run in them too many miles and the fabrics and ingredients get compressed and deteriorate. 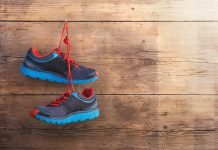 According to conventional wisdom, most running shoes lose their support and cushioning properties after reaching the 400 to 500 miles mark. That’s why you need to replace your training once they reach that range. Once your shoes deteriorate, your risks of injury shoot up. Don’t chance it. To efficiently apply this rule, keep tabs on the number of miles you have run in each pair. This is important because it helps you gauge and measure when you need to get a new pair. Most apps allow you to “tag” a specific pair of shoes and keep track of the miles logged for you. The 400 to the 500-mile rule is not written in stone. It varies depending on many factors, including your weight, training surfaces, foot strike patterns, and the type of the shoe. I’ve written a full post on the subject. You can find it here. I see many runners avoid the weight room because they don’t want to bulk up. Consistent resistance training helps build power in your running muscles, correct muscle imbalances, and deficiencies as well as get you into the best shape of your life. This is particularly beneficial for beginners who took up running as adults and whose non-training hours involve a lot of sitting. Here are a few of my favorite strength workout routines. The only hang-up I have about strength training as a runner is choosing the right time to do it. If your body is already exhausted from running, chances are you’re not going to perform your best in the weight room. You might be chancing lousy form, and you don’t want that. That’s why I think you should experiment with training schedules that to figure out what works the best for you. For instance, you could do an interval run workout in the morning, followed by 20 to 30 minutes of strength workout in the evening. I usually tend to run and lift the weight on separate days. That way I make sure that I’m giving it my best every time I work out—but that’s only possible because I work out six times per week. You don’t need to hit the weight room several times a week to see gains. A minimal time investment on your part might be all you need to stimulate tremendous strength gains. To get the maximum from strength training, you only need a couple of sessions per week, committing to anywhere between 60 to 90 minutes of strength training per week . And believe me, it’s worth the effort. For more on the benefits of strength training for runners, check these posts. Proper post-run fueling helps you replenish exhausted glycogen stores, giving you energy, assisting in your body’s recovery. Skipping post-workout nutrition could lead to hunger pangs or lethargy later in the day—or even injury or sickness down the road. Don’t get me wrong. You don’t need to take in calories immediately following a run, but try to have a healthy and well-balanced meal (or snack) within 60 minutes. The rule is also pretty straightforward. Eat something consisting of both carbohydrate and protein within 30 minutes of finishing your run. Remember to hydrate, too. Some of my favorite options include yogurt topped with fruit, a glass of milk and a banana, a protein shake with mixed fruit, and an apple with a tablespoon of peanut butter. I hate to sound like a broken record, but it’s vital to realize that these are general guidelines. They don’t work for everyone and are not universal rules by any means. Post-training fueling needs vary depending on the length of your workout, your training intensity, and your fitness and training goals. No suit fits all. For instance, a marathon runner may need a sizeable post-run meal to replenish glycogen stores, where a beginner who only runs a few miles will require drastically less food. This is why it’s critical, again, to experiment with different foods and diets to assess what works the best for you—and might be a reason you may want to consult a certified nutritionist for more advice and guidelines. Lots of beginners go hard every day trying to reach their goals as soon as possible. In the meantime, they’re also ignoring their body’s feedback. When training, it’s key not to overdo it. Diving into the deep with inadequate recovery isn’t good for anyone. Doing so can seriously boost your injury risks and potentially dire long-term consequences. In fact, if you push yourself every day, you’ll be merely running your body into the ground, and improvement will be slow and problematic—which in turn can result in injury and burnout. That’s where proper recovery comes into the picture. It’s during the recovery days that your body adapts to the training you have been doing. This in turn helps you become fitter and able to handle a more challenging pace and training workouts. To make the most of this, take at least two days off from running each week. Also, plan your workouts the right way. Aim to complete two to three non-consecutive intense or long run session per week. Include at least one easy run, cross training, or complete rest following a quality workout—think hard intervals and long runs. Sorry, there are no exceptions to this rule. As far as I can tell, this is the most important rule of them all. If you experience sharp pain during a run, slow down your pace, or stop training altogether. Do not ignore small nuisances—that’s how most serious running injuries start out. If you do so 80 percent of the time, you’ll develop a more serious injury—and you don’t want that. In general, take a couple of days off whenever something hurts for two straight days while running. Usually, most cases of tightness, soreness, and stiffness typically subside following an easy warm-up. 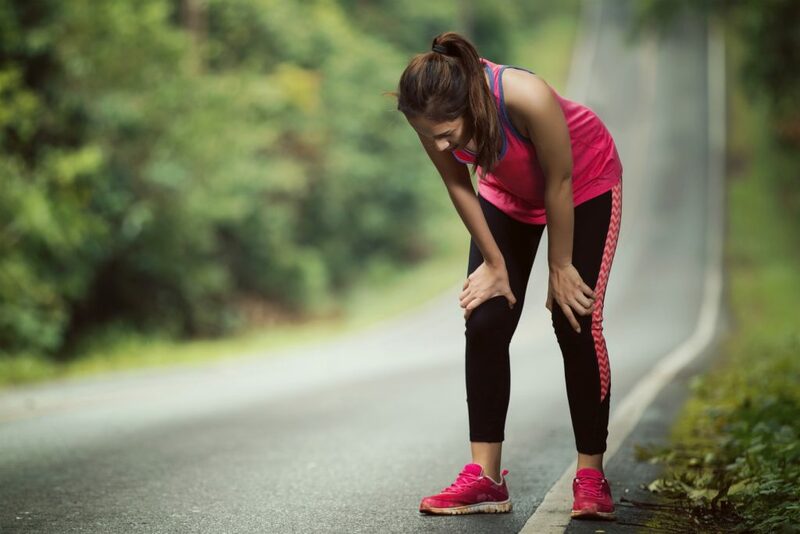 However, severe pain that persists both during and after a run could indicate the onset of an injury—and that you need to do something about it. Once your symptoms subside, go back to your regular training program and listen to your body both during the warm-up and throughout the workout. Stop training if you have any re-occurring symptoms. I hate to sound like a broken record, but every runner is different and unique, and the training strategies that works for one runner may not be the best thing for you. That’s why the best way to know if you’re on the right path and not doing too much for you is to listen to your body. This rule, again, has no exception. There you have it. The above 9 running training principles are some of the most important rules you need to apply in your training if you’re serious about making it as a runner. The rest is just detail.